The best weight to ruck. 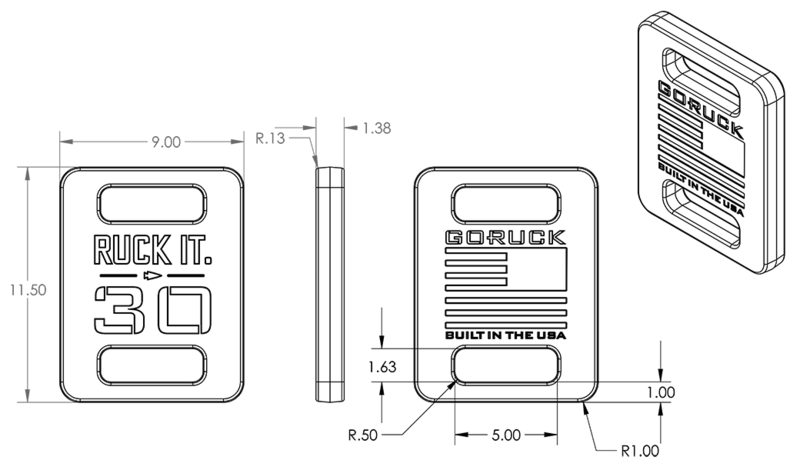 Ruck Plates® are compact and fit seamlessly in our rucksacks for superior stability. 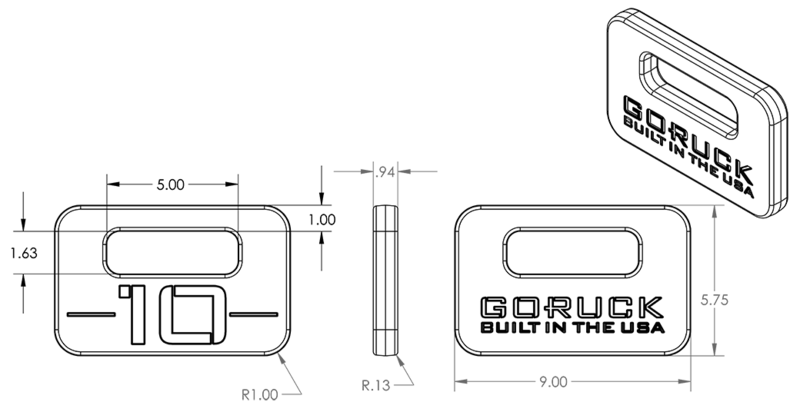 Made in the USA to exacting standards of quality and craftsmanship, GORUCK Ruck Plates® represent the very best of American manufacturing. Weights are heavy and shipping heavy things isn't easy. 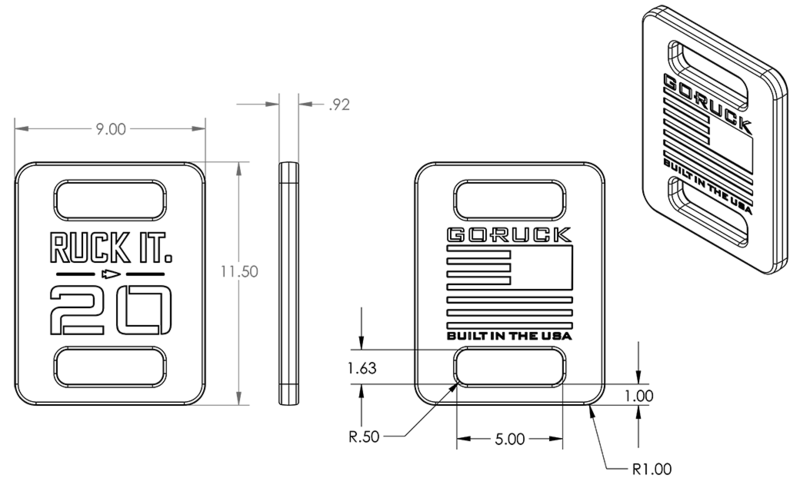 Up to 2 Ruck Plates can ship in one box, separate from other gear, and can only be shipped to the lower 48 states.Ruck Plates ship FREE and orders containing Ruck Plates cannot be expedited. Our standard of compatibility is that Ruck Plates® will be stable and secure in your Ruck with minimal shifting. *45LB Ruck Plates® will fit into the interior elastic pocket, but do not strap in vertically so they are better suited for upright rucking, not GORUCK Challenges (think bear crawls). **Because the Bullet 10L and Bullet 15L dayrucks do not strap Ruck Plates® in vertically, they are better suited for upright rucking, not GORUCK Challenges (again, think bear crawls) – though we have seen them at GORUCK Lights over the years, none the worse for the wear. Learn more about Ruck Plate® compatibility in Bullet Rucks here. 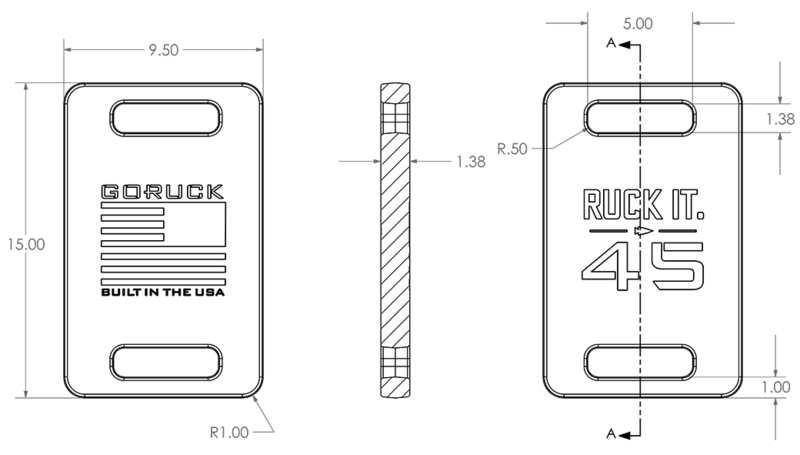 Ruck Plates for the Rucker. Some Ruck Plates may technically fit in other rucksacks, but that does not mean they will be secure to our standards. See our Recommended Ruck Compatibility Chart for more information. 5.75" x 9" x 0.94"
9" x 11.5" x .92"
9" x 11.5" x 1.38"
9.5" x 15" x 1.38"
Care Instructions: Keep dry when not in use to prevent rust. 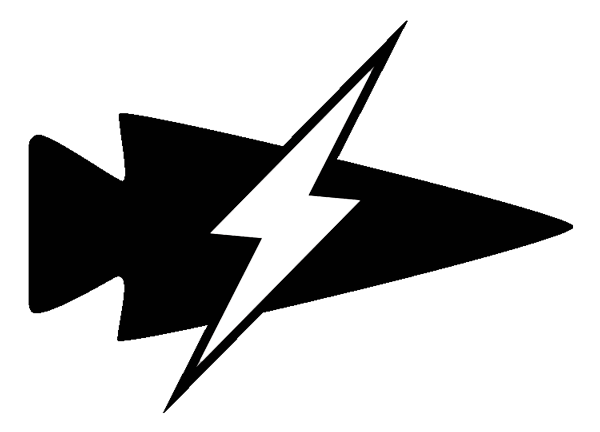 Use spray paint or automotive paint for touchups.